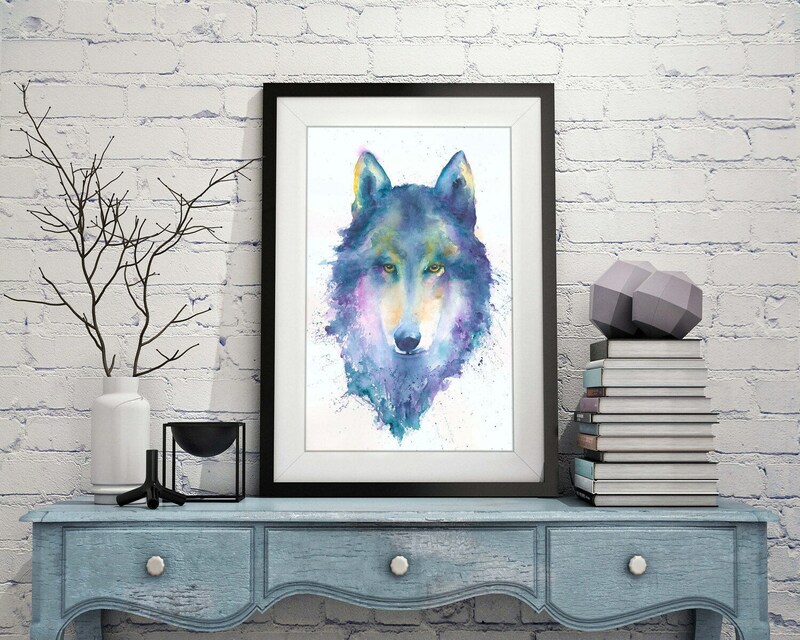 "Wisdom" is an archival fine art giclee print from my original watercolor painting. 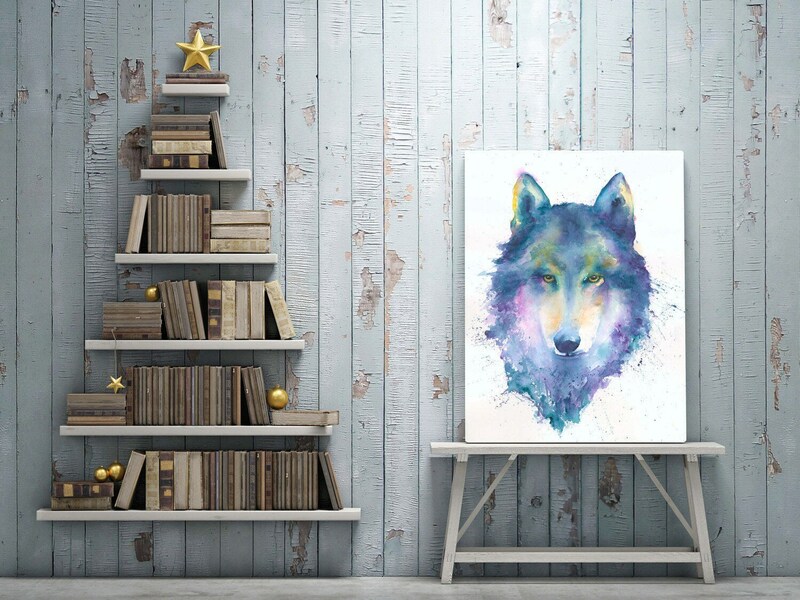 🐺 Wolf has been my constant companion for as long as I can remember so it was no surprise I found him emerging in a splash of watercolor paint. Wolf's wisdom is as a teacher and pathfinder. Wolf ventures forth, into the unknown, to bring back knowledge to the pack. His lessons are always valuable and straight to the point. Historically, wolf has had to endure persecution and annihilation but his power is in persevering through challenge. Wolves mate for life and live in tight knit family groups that they fiercely protect. 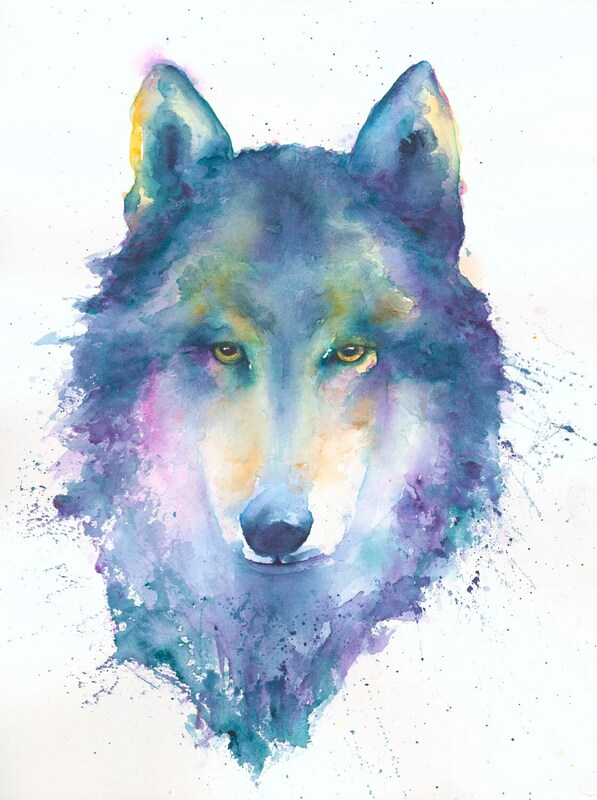 There is much wisdom to be discovered by studying wolf. "Wisdom" brings his knowing gaze and powerful presence to any home open to his teachings. ✳️ Size: 8x10 (white mat) ready for an 8x10 frame, image is approximately 5x7. Frame not included. 11x14 (black mat) ready for an 11x14 frame, image is approximately 8 1/2 x 11 inches. No frame.